Are you looking for your next (or possibly first) adventure overseas? Have you ever considered working in Asia? 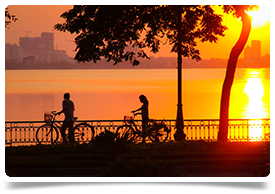 We have a rare and exciting opportunity available for a Psychiatrist to join an established private hospital group in one of their clinics in Hanoi, Vietnam. Helping to set up a new service, you will be joining the most reputable and famous international healthcare provider in the country. Expats are attracted to Vietnam by the good weather, low cost of living, lively culture and the steady improvements in Vietnam’s infrastructure - and this is the opportunity of a lifetime! We are seeking a specialist who has experience in depression, anxiety, self-harm, suicidal tendencies, bipolar disorder, obsessive compulsive disorder and schizophrenia and other areas.